Annual QuiltNSW Challenge – a travelling suitcase exhibition open to all QuiltNSW members. The 2018 Challenge winners were announced at AGM – Running Away with the Amish. Sydney Quilt Show – an annual members’ exhibition presented in conjunction with the Craft & Quilt Fair at the International Convention Centre Sydney at Darling Harbour from 19-23 June 2019. The New Quilt – a juried exhibition showcasing the art of quilting at Hawkesbury Regional Gallery from 5 February – 4 April 2021. Is your membership up to date?! 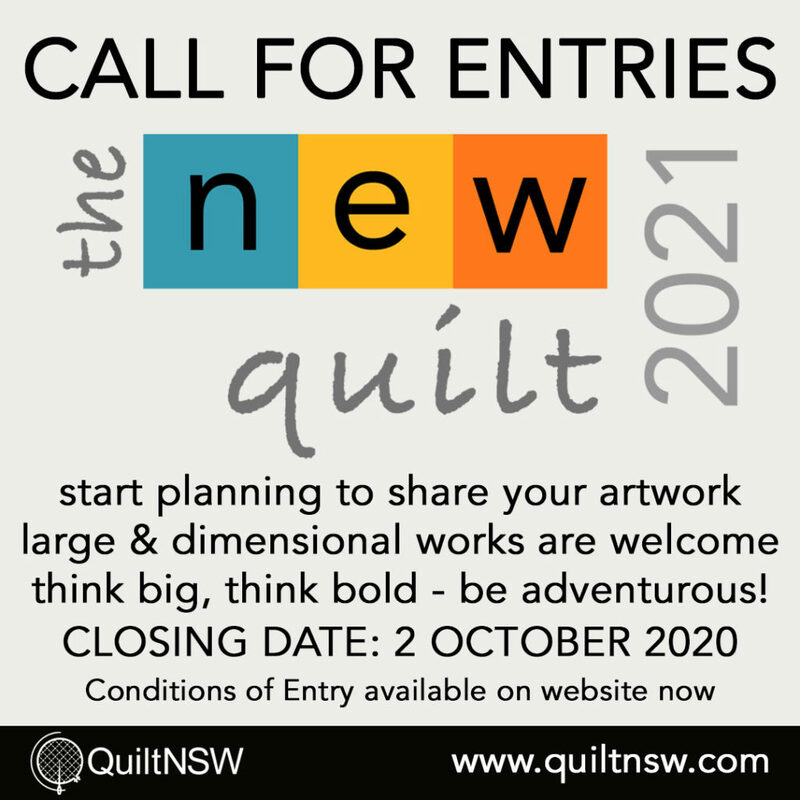 Remember, to enter a quilt in the Sydney Quilt Show, you must be a member of QuiltNSW for the financial year. Membership is due 1st July each year for the year ending the following 30 June. Complete the Online Membership Form or download a Membership Form. Thank you to our sponsors: The annual members' exhibition is presented with the generous support of Expertise Events, BERNINA and other sponsors.